Shraddha Kapoor is an Indian actress and singer who work in Hindi films. She was born on 3 March 1987 in Mumbai, Maharashtra, India. She is the daughter of Actor Shakti Kapoor and Shivangi Kapoor. On her father's side, Kapoor is of Punjabi descent, and on her mother's side, she is of Marathi ancestry. Shraddha Kapoor completed her schooling at Jamnabai Narsee School and at the age of 15, she shifted to the American School of Bombay, where she was schoolmate with actress Athiya Shetty and actor Tiger Shroff. She also accompanied her father to various shooting locations in her childhood. During one of David Dhawan's shoots, Kapoor become a friend of actor Varun Dhawan, to play with him, and they were holding a torch pretending it to be a camera while delivering film lines to each other and they were also dancing to Govinda's film songs. Shraddha Kapoor began her acting career with a brief role in the 2010 heist film Teen Patti alongside Amitabh Bachchan, Ben Kingsley and R. Madhavan. Her first leading role in the teen drama Luv Ka The End (2011). 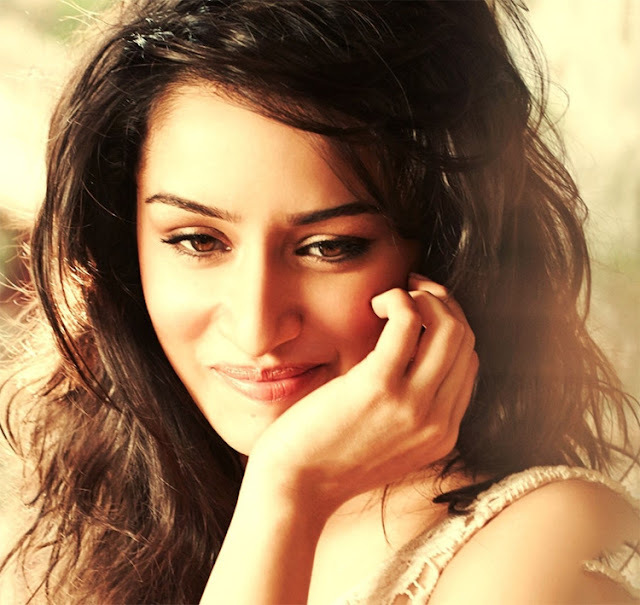 In 2013, Shraddha Kapoor found her breakthrough role in Mohit Suri's romantic musical drama Aashiqui 2, the sequel to the 1990 film Aashiqui. She was cast as Aarohi Keshav Shirke, a small-town bar singer who becomes a successful playback artist with the help of a popular male singer (played by Aditya Roy Kapur). The film was a major box office success with a global revenue of ₹1.09 billion (US$17 million). She has been worked many Popular & commercial successful Movies including Ek Villain, Ungli, ABCD 2, Baaghi, A Flying Jatt, Rock On 2, Ok Jaanu and Half Girlfriend & Haseena. She received Several Awards & Nominations her acting performance. Shraddha Kapoor is now highest-paid Celebrities of Bollywood. In 2016, she was featured among the highest paid actresses of Bollywood with a total earning of ₹50 million (US$770,000) per film. In 2018, Eastern Eye featured her as one of the eight sexiest women in Bollywood.